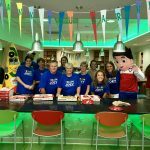 “Best day ever!” That’s what I overheard a pediatric cancer patient exclaim as he loaded up his plate with pizza, gave Paw Patrol a high five and went on to play games in the Riley Child Life Zone in September during a Team JOEY visit to Riley Hospital for Children. 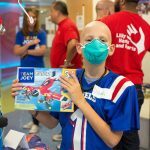 These are the types of moments the Heroes Foundation’s Team JOEY program helps facilitate, and it’s an honor to be a part of that special moment and hear those sweet words from a child. 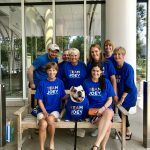 On that particular day, Butler University’s bulldog Blue III also joined the Team JOEY crew, bringing smiles to patients — and staff — throughout the hospital! Did you know that every two minutes a child is diagnosed with cancer? That means 25,000 kids around the world will hear the words “You have cancer” this month alone. 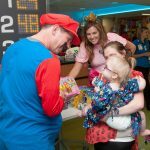 Thanks to your support, the Heroes Foundation continues to bring smiles and hope to local children fighting cancer. 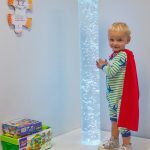 As we closed out Childhood Cancer Awareness month in September, we wanted to thank all of our donors, supporters and volunteers for making events like these possible. 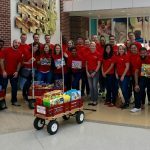 Whether it’s donating LEGOs, contributing money toward our research programs, or volunteering your time, it’s all appreciated so more patients can have their best day ever.